Sporotrichosis is a subacute or chronic infectious disease caused by dimorphic fungi of Sporothrix spp. The genus Sporothrix consists of several species with different geographic distributions, virulence, and antifungal susceptibilities, making species-level identification necessary. The accurate diagnosis of sporotrichosis and identification at the species level are critical for public health and appropriate patient management. Compared with morphological identification methods, molecular diagnostic tests are rapid and have high sensitivity and standardized operating processes. 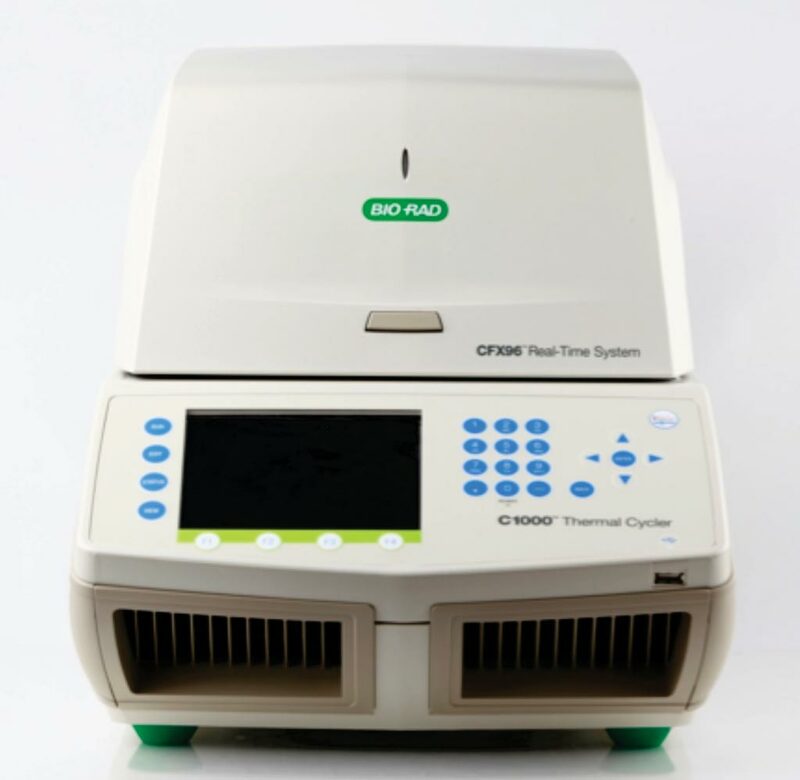 Image: The CFX96 real-time polymerase chain reaction detection system (Photo courtesy of Bio-Rad). Scientists at the Second Hospital of Jilin University (Changchun, China) collected between September 2017 and August 2018 a total of 40 tissue biopsies from patients in whose clinical manifestations indicated suspected sporotrichosis. The team designed a novel multiplex real-time polymerase chain reaction (PCR) method based on the calmodulin (CAL) gene for the identification of clinically relevant Sporothrix species: S. globosa, S. schenckii s. str., and S. brasiliensis. The performance of the multiplex real-time PCR assay was evaluated by comparison with the culture method and the species-specific PCR. The scientists used 33 DNA templates to detect assay specificity, and three plasmids were constructed to create a standard curve and determine the limits of detection (LODs). For nucleic acid detection, the sensitivity and specificity reached 100%. The LODs were 10 copies, 10 copies and 100 copies for S. globosa, S. schenckii s. str and S. brasiliensis, respectively. For the clinical samples, the positive detection rates by culture, species-specific PCR and the multiplex real-time PCR assay were 87.9% (29/33), 39.4% (13/33), and 93.9% (31/33), respectively. For the spiked samples, the positive detection rates were both 100% for S. schenckii s. str and S. brasiliensis. The multiplex real-time PCR was performed in a CFX96 Real-time PCR Detection System. The authors concluded that the novel multiplex real-time PCR assay was effective, fast, accurate, and highly sensitive. It had a lower reaction cost and sample volume requirements, could detect co-infections and allowed for standardized operation and easier interpretation of results. The study was published on February 28, 2019, in the journal PLoS Neglected Tropical Diseases.